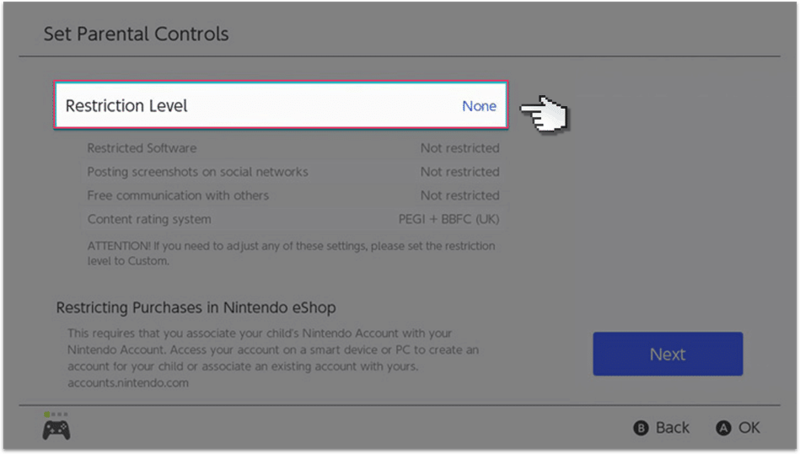 The Switch has some of the best parental controls of any games console that we’ve seen. 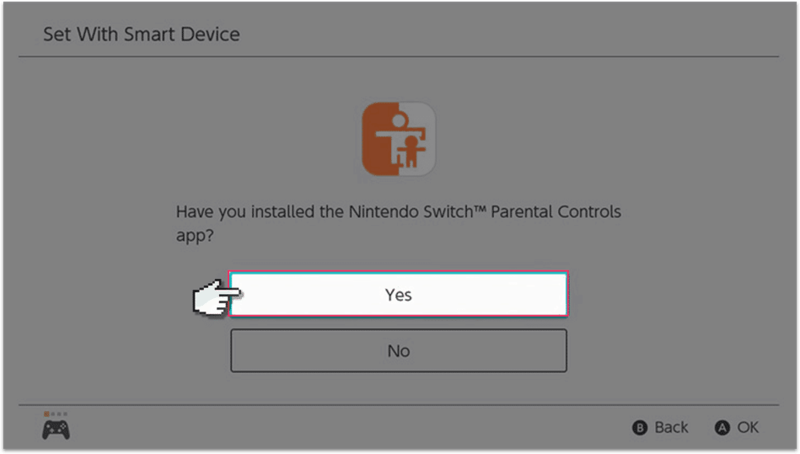 There’s even an app that you can install on your phone that allows you to control your child’s time on their Switch. 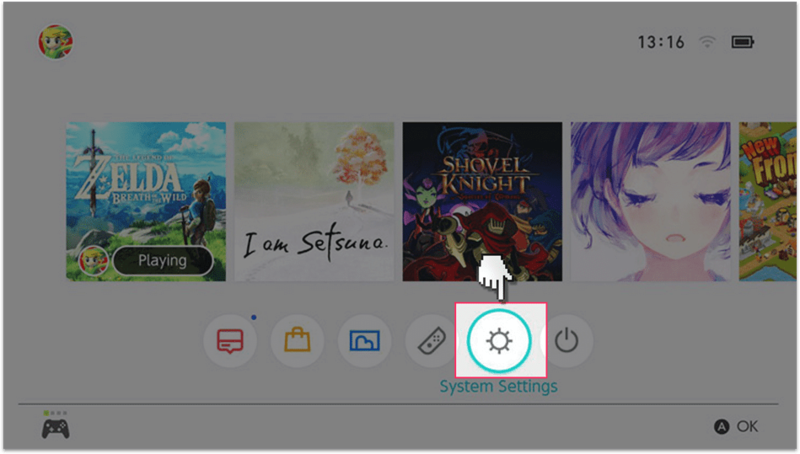 Turn on the Switch and open the System Settings. You’ll have two options, you can either use the app to control the parental controls or just set them up on your child’s device. We suggest getting the app because it will give you more options and control. 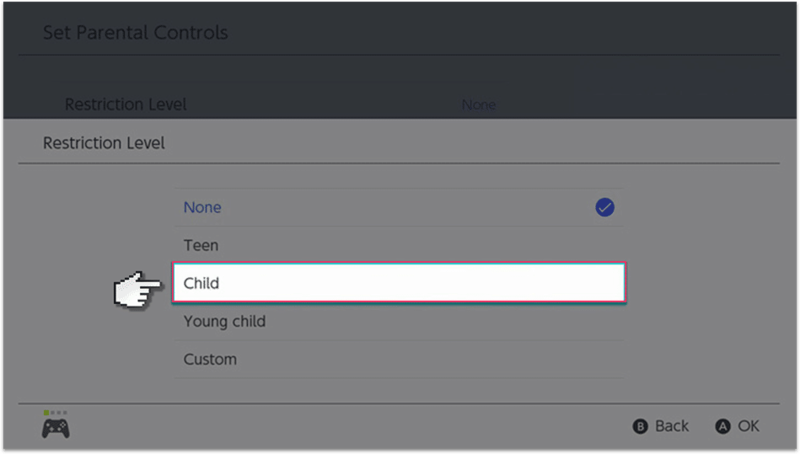 If you do select to set up controls on the device, then you can add restrictions for the type of content that your child can use on the device. The levels that you can choose are quite broad, so if you want to be more accurate you can select custom.  If you want to use the parental control app for the Switch then download it from the Google Play Store or Apple App Store and then follow the instructions to pair it with your child’s Switch.